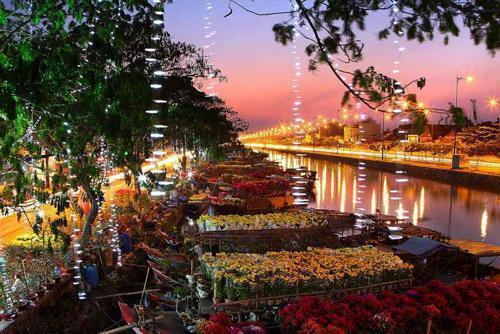 The beautiful scenery, the people of Vietnam recorded by photographers during the Lunar New Year 2014 are on display in HCM City. 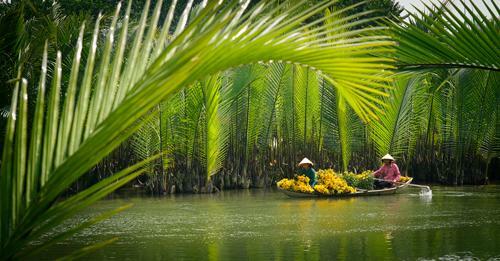 The floating life in a spring afternoon by Bui Vy Van. Binh Dong wharf is bustle before Tet by Nguyen Van Khanh. 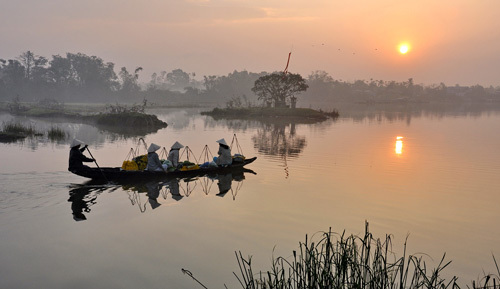 These women take flowers to the New-Year market early at dawn by Doan Dan. 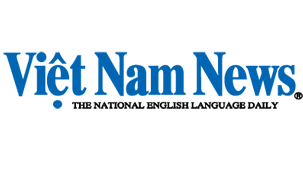 Before Tet by Nguyen Van Thuong. 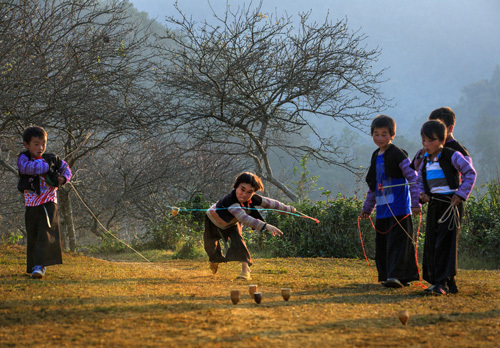 Children play a traditional game in the New Year holiday of Mong people in Moc Chau by Nguyen Ngoc Mai. 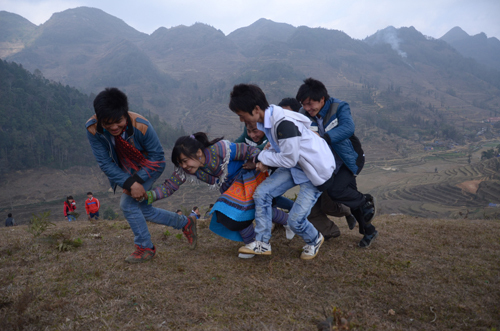 The custom of "catching wife" in Muong Khuong, Lao Cai by Pham Bang. 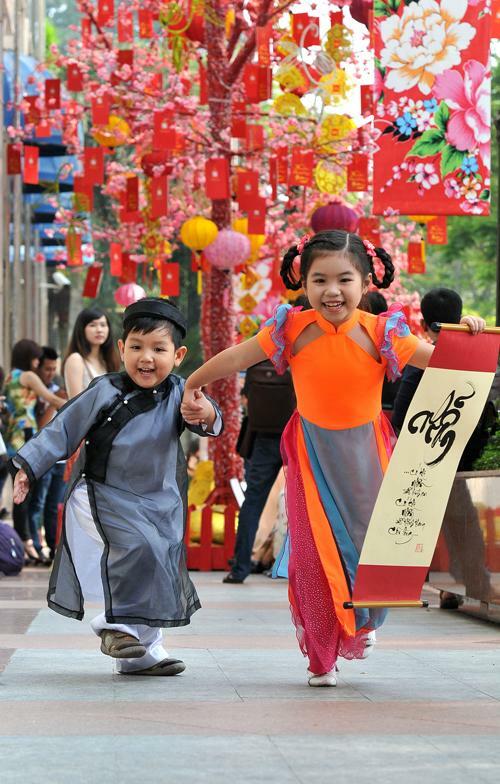 Kids on Le Duan Street during Tet by Tran Ngoc Tuan. 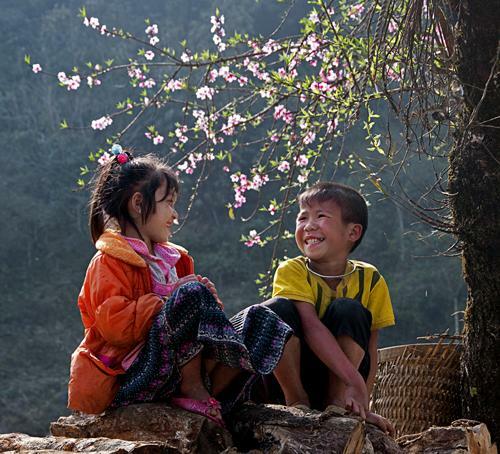 The New Year's Day of Dao children in in Moc Chau by Trinh Thu Nguyet. 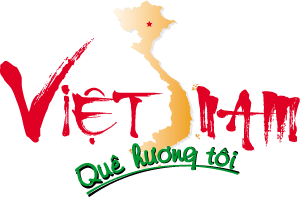 Tet Festival of the people in Mo Cay, Ben Tre province by Nguyen Vinh Hien. 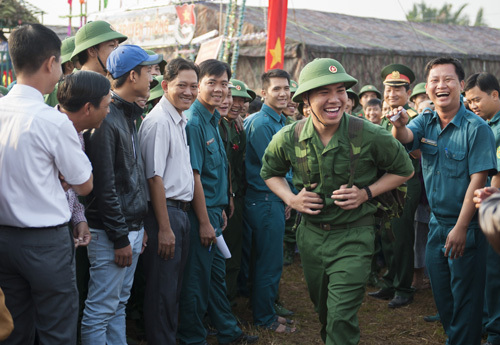 Joining the army by Nguyen Huu Hong. 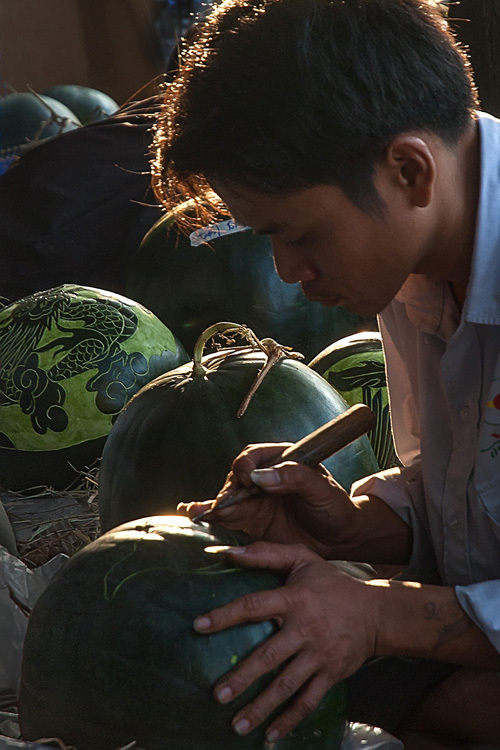 Carving horses, dragons ... on watermelons for display in the New Year by Duong Cam. 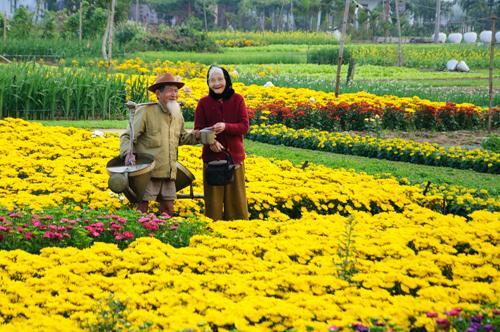 The happy spring of an old couple by Vo Van Phi Long. 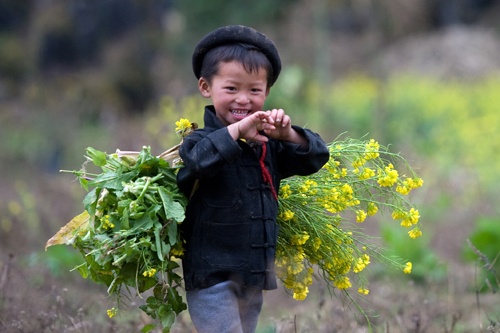 A boy in Ha Giang helps his mom bring home vegetables by Tran Thiet Dung overcomes more than 4,000 works to win the first prize in the competition "Vietnamese Tet 2014 - Spring of Love" held by the Saigon Entrepreneur Newspaper. 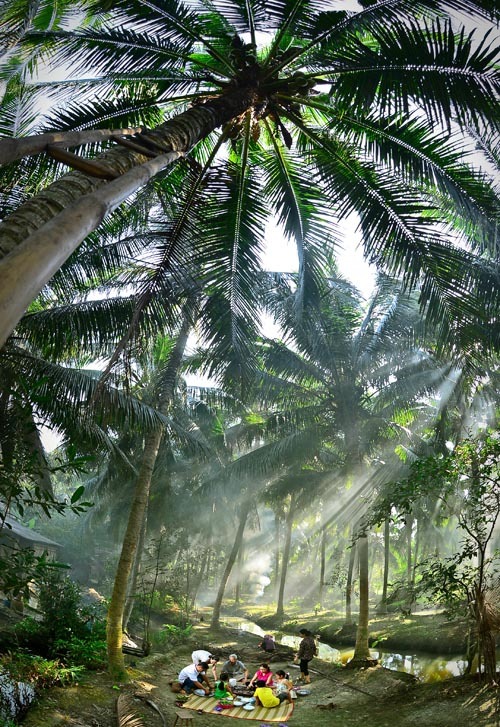 45 photos were shortlisted as the finalists and 11 won prizes.